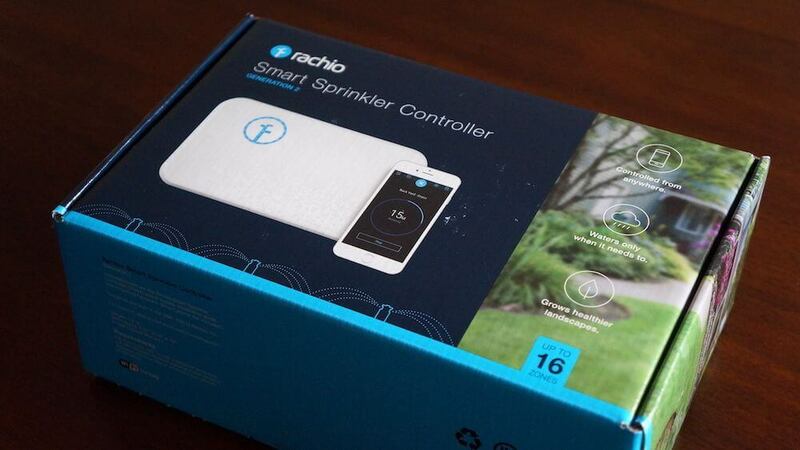 When it comes to smart sprinkler controllers, Rachio is the most recognized household name. 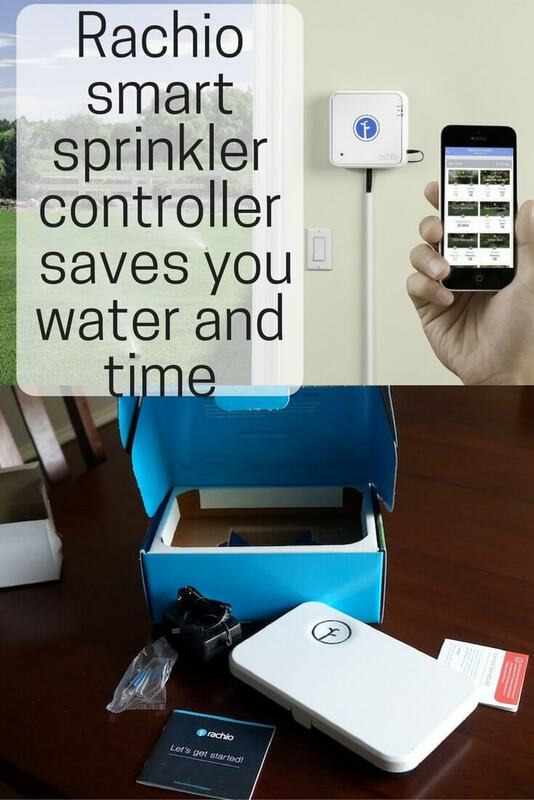 We wanted to try out a smart sprinkler that made watering our lawn easier, while also conserving water. Our Rachio Gen 2 review will walk you through set up and help you decide if your yard needs smartening up. 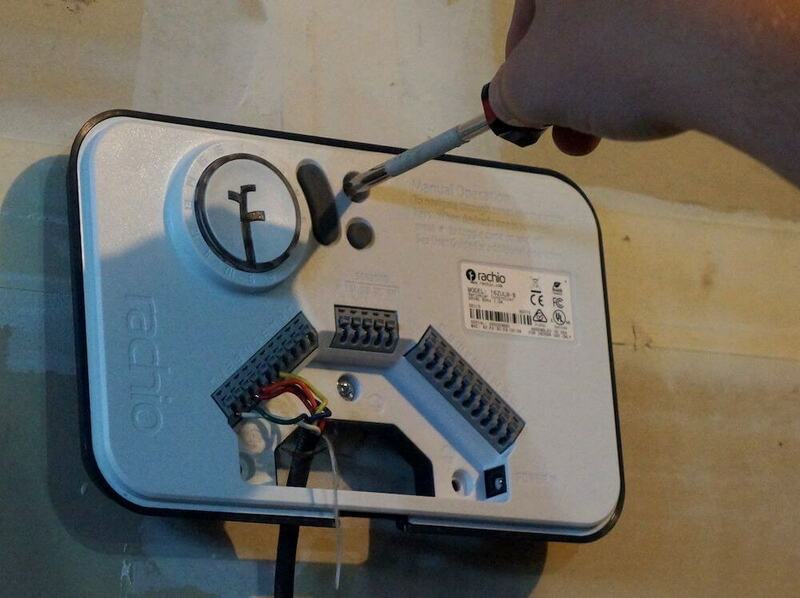 Replacing a sprinkler controller is typically very easy, and Rachio is no exception. Simply unplug the old controller, remembering which wires go to which zone. You may need to take a picture to help you remember. Next, mount Rachio and plug the wires into the zones, in addition to the C-wire, or common wire. Plug Rachio into power, and you’re done with the wiring and physical set up. The installation was very easy. 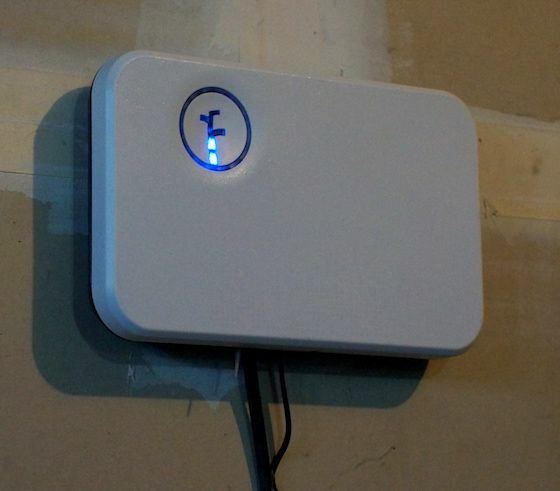 While home wiring always differs slightly, switching out our old sprinkler controller for this Rachio gen 2 review was seamless, and we had a fast and easy experience. Our Rachio was installed indoors, but installing gen 2 outdoors is easier than the first version. Gen 2 has a custom fit outdoor enclosure for protecting the unit from the elements. The first gen Rachio was a little more difficult to install, set up, and test, but each of these were improved in the latest Rachio gen 2. The device is also discoverable within in the app, making it easier to connect with the network. Once the wires are attached, it’s time to connect Rachio to your WiFi network. This was also an easy process during our Rachio gen 2 review; we just entered the WiFi password and serial number on the unit and it connected immediately. After you connect to WiFi, make sure you don’t accidentally skip past the setup like I did. The app isn’t very intuitive if you skip the initial setup screens, making it easy to get lost. Thankfully, the app was helpful, with the question mark button in the top right giving me further information on Rachio’s website. 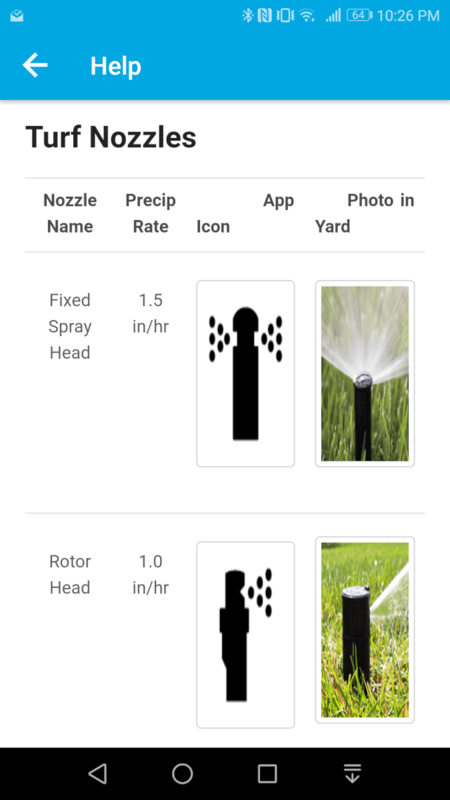 The ideal would be to show these sprinkler heads and other helpful info within the app. The most time-consuming part was configuring all of the zones. Our home only has 5 zones, but Rachio is capable of 16. Instead of offering a “skip all remaining zones” button, we had to manually go through zone by zone. In reality, it didn’t take that long, but it was definitely a slight annoyance. The biggest benefit of Rachio is that it automates your watering and reduces your usage. 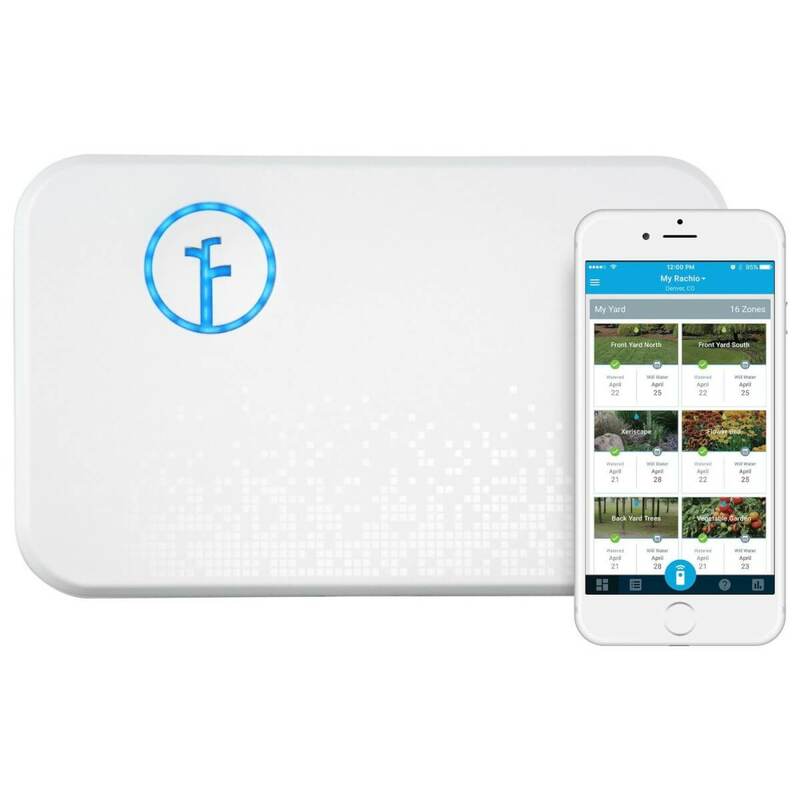 It tracks the weather so you aren’t watering your grass in a rainstorm. It can also knows when to water your grass a bit longer when the temperature is higher. 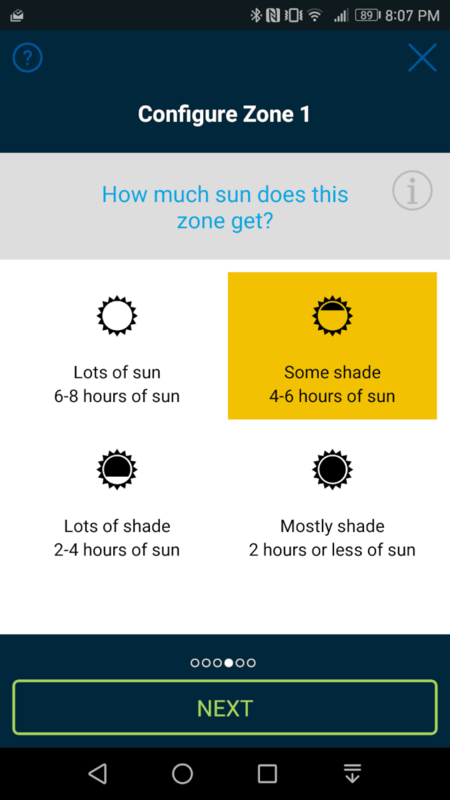 The app, when set up with smart cycle and weather intelligence, displays a watering schedule that shows how long each zone needs to be watered. Since it’s currently June, looking at the watering times in the app for July shows about 5 minutes longer on each zone because summer just started. 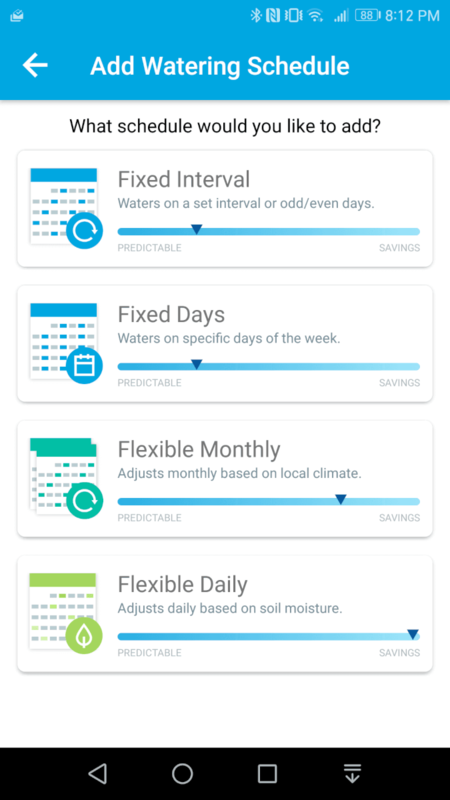 Rachio offers several scheduling options to match the different types of watering that homeowners prefer. These include Fixed Interval, Fixed Days, Flexible Monthly, and Flexible Daily. 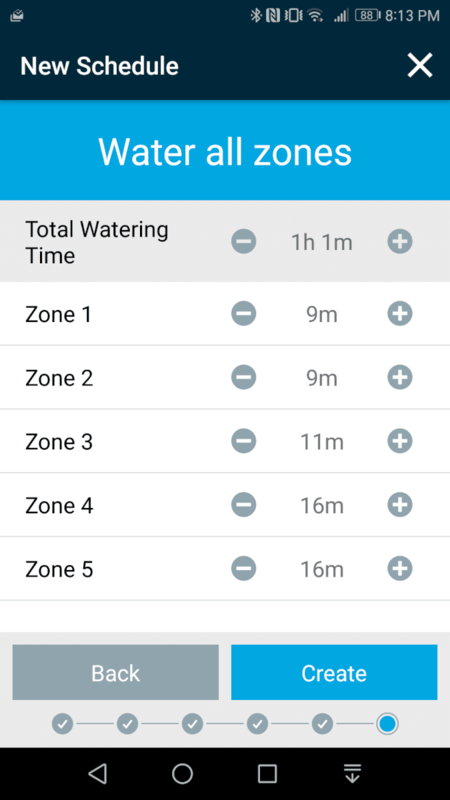 When adding the schedule, you can specify which zones need to be watered for specific amounts of time. This is mostly intuitive, but there are some difficulties. For example, once you pick a watering type, you have to create a new one; you can’t just edit the watering type. There can be multiple schedules at one time, such as a fixed day and flexible monthly. One schedule could run in the morning and the other in the afternoon. Rachio gen 2 has button controls as a back up, which is an excellent addition. Sometimes it’s easier to quickly adjust things when you are already next to the unit and gives landscapers quick access. You can also give guest access to family or irrigation professionals through the app. After you input your plant, soil, and sun exposure data, Rachio combines all of this with weather to figure out the perfect amount of watering. After the schedule and lawn details are established, you can watch the water savings add up in the app. Rachio gen 2 is EPA WaterSense certified, which means rebates may be available from your local jurisdiction. The company claims 50% savings in water usage. The app is a data lover’s dream come true, listing gallons saved and water usage, in addition to upcoming weather forecasts. The estimate is in an easy-to-read graph, but it seems to overestimate a bit since it’s based on average sprinkler head output. The app will send you notifications when the grass is watered, and displays information in real time within the app. 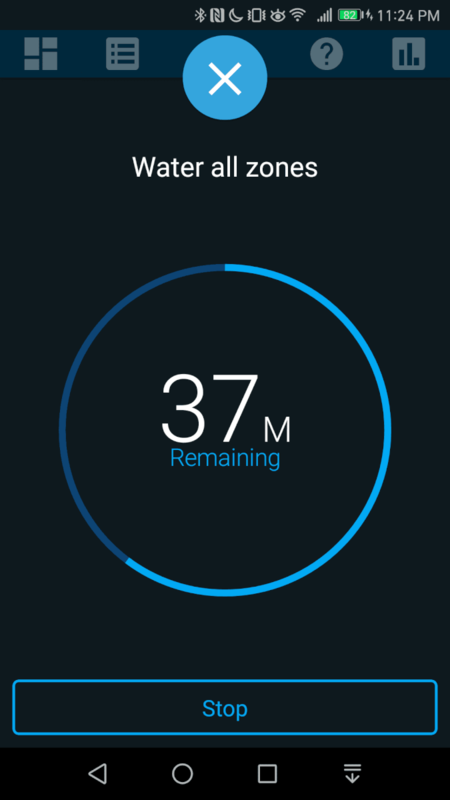 You never have to wonder which zone is being watered, Rachio will let you know. 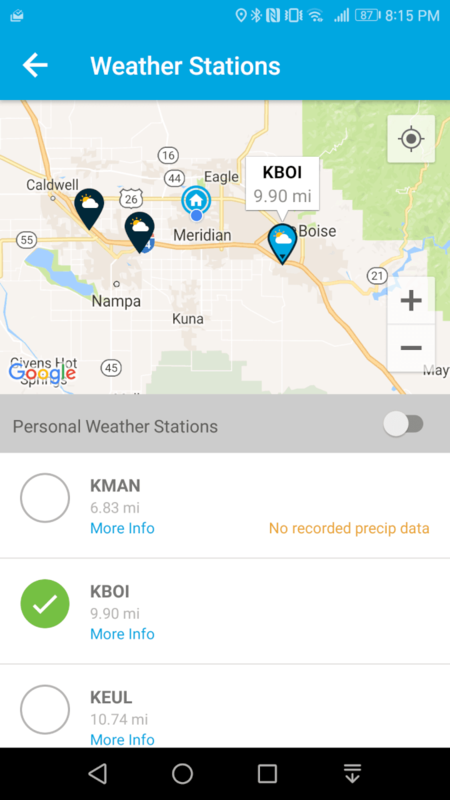 For the most accurate weather information, you can select a local weather station, including a local news station or a personalized weather station. Make sure you select a station that collects precipitation data, since some do not. 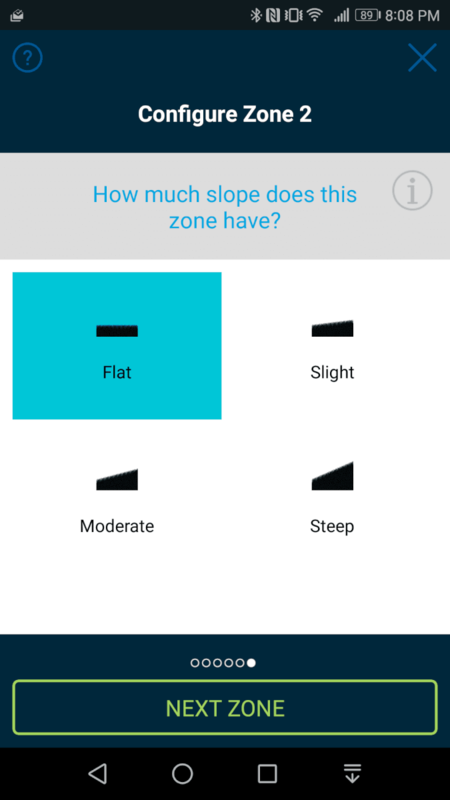 Overall, the Rachio app was extremely easy to navigate for our Rachio Gen 2 review, with all of your zones accessible. You can take photos of the different zones, since it’s hard to remember which zone matches up with the different areas of your lawn. The big blue button at the bottom triggers watering, and you can water one or all zones for any amount of time. 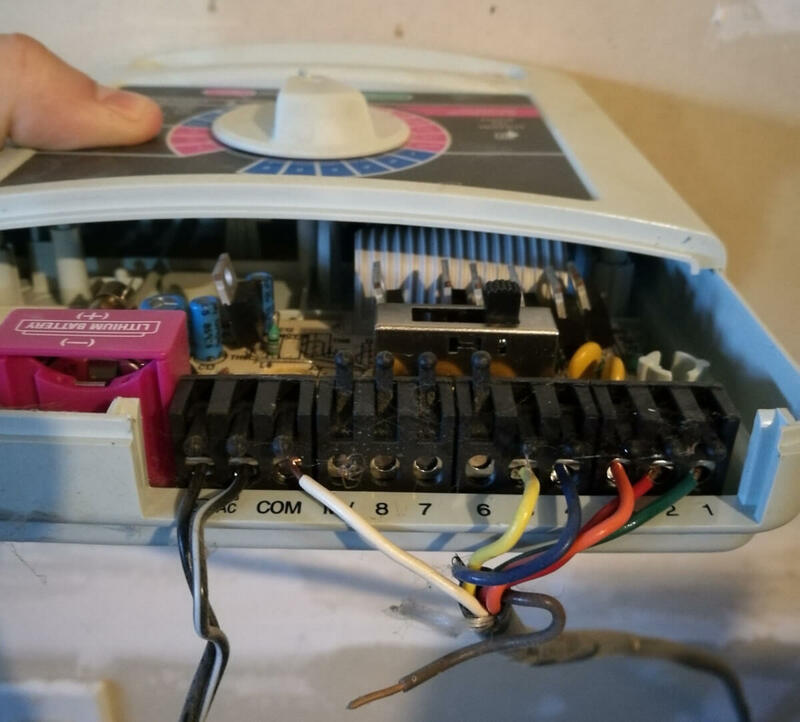 This makes testing your sprinklers much easier, since you aren’t manually fiddling with buttons in the garage and walking back and forth multiple times. The controls to Rachio are available in your smartphone app or the browser. We tested Rachio with our SmartThings hub and it worked great. 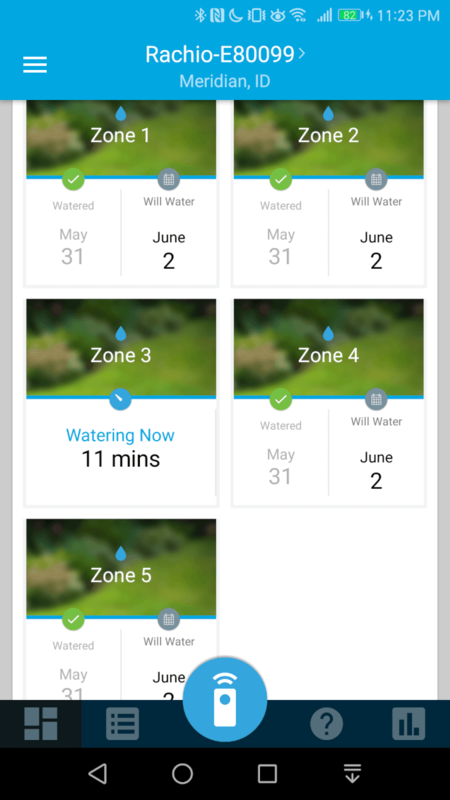 You can easily monitor which zone is getting watered within the SmartThings app, as well as start or stop a zone. IFTTT integration is especially useful since its applets add more functionality. An example of an IFTTT applet includes sending an email if Rachio is offline. 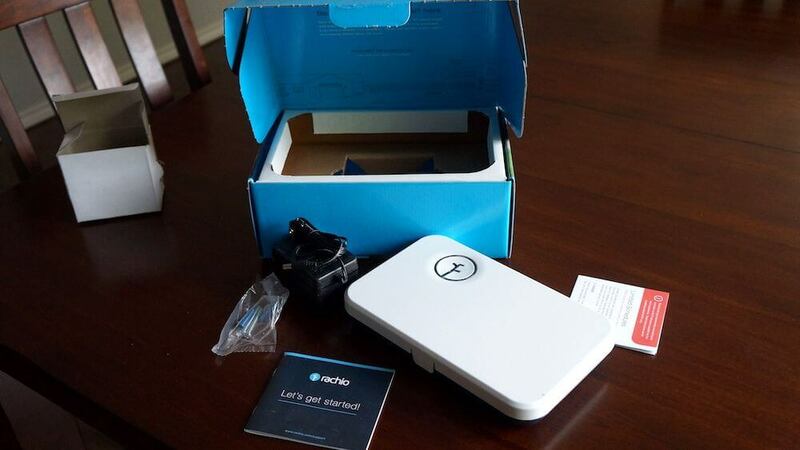 In the end, our Rachio gen 2 review found that the device was an excellent option for making an annoying part of home maintenance less of a headache. Rachio’s water saving features make it very enticing to any homeowners, since it can quickly pay for itself in water savings. 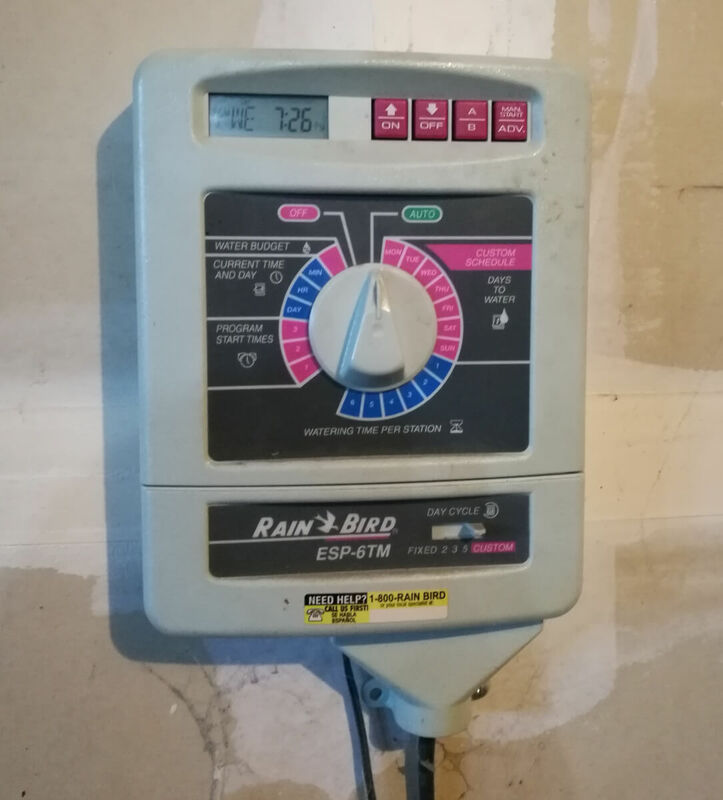 It also offers an convenience factor, since you can change the schedule on the go and don’t have to deal with antiquated sprinkler controller technology that probably needs replacing anyways. Its hardware is high quality and thoughtful, and you can tell that it’s made in the USA. If you’re interested in comparing Rachio with other smart sprinkler controllers, check out our comparison article.